The entire state of Maryland has experienced an uptick in heroin use over the last couple years. But no city or county has seen such a dramatic rise as Ocean City. Law enforcement reported a 550 percent increase in heroin use in the city from 2011 to 2012. If the reports are accurate, more than 5 times as many people used the drug this year compared to last year. In response local cops, Worcester County Police, and Maryland State Police recently initiated a drug suppression operation entitled Operation Smackdown. A variety of drugs such as cocaine and marijuana were also targeted in the operation, but most of the arrests were for possession or sale of heroin. The joint drug suppression operation yielded nearly 100 bags of heroin and indictments against more than 20 defendants on felony charges. One of the defendants that was arrested for possession with intent to distribute was found with over 60 bags that were packaged for sale. Many of these defendants are already in custody and facing bail as high as $300,000, while some of the suspects are still at large. Police have reported that most of the suspects are from Worcester County cities Berlin and Ocean City, but some also hail from Wicomico County and even neighboring Delaware. Cops used various tactics to carry out the large drug bust including search warrants, undercover buy operations, and surveillance. As is the norm for operations such as this, police undoubtedly employed at least one or even more defendants that were working for the state in exchange for leniency from the law. Typically a defendant that is arrested or under investigation for a drug offense will be given an opportunity to “work” with police in exchange for the cops agreeing not to submit the case to the State’s Attorney, or to submit lesser charges. These agreements are never set in stone, and all defendants should be weary of giving up their constitutional rights and placing themselves in danger by working undercover. The likely cause of Ocean City’s dramatic heroin increase is a statewide crackdown on the availability of prescription narcotics such as Oxycodone and morphine. The last blog entry went into greater detail about Maryland’s efforts to break up the state’s pill mills and eradicate fraudulent prescriptions. The effect of these efforts is that the price of prescription pills has steadily increased. Oxys are no longer a cheap and easy alternative to heroin, and in reality it is quite the opposite. Cheap heroin is flooding the marketplace and drug users are making the switch at an alarming rate. Prescription pills are by no means a safe alternative for social users and addicts, but in comparison heroin is possibly the most dangerous of all drugs. 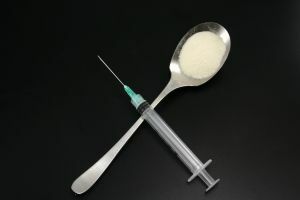 In addition to being highly addictive, heroin is often cut with toxic chemicals that can cause deadly infections and destroy blood vessels upon injection. The saturation of this drug on the streets of Ocean City is a trend that law enforcement has certainly not chosen to ignore. 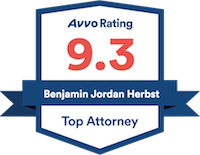 Benjamin Herbst is a Maryland drug lawyer who specializes in heroin possession and sale, and possession of marijuana with intent to distribute. Contact Mr. Herbst at The Herbst Firm for a free consultation about your criminal case. Ocean City dealing with ‘overwhelming increase’ in heroin cases, baltimoresun.com.